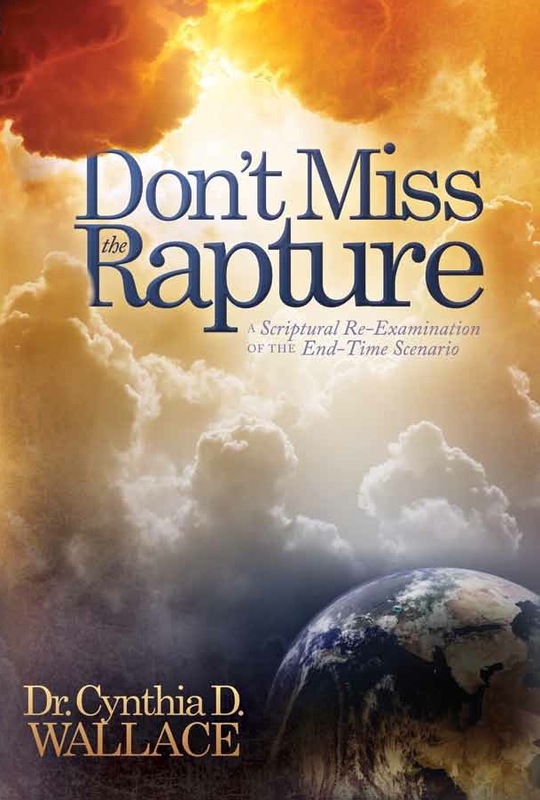 “Dear Dr. Wallace … After reading your "Israel" book, I found myself searching the internet to see what else you had written, which is when I found your other book, Don’t Miss the Rapture. I’ve been active in ministry since the early 1990s and words simply can't express my amazement at, and respect for, how God has used you to present such a clear understanding of the scriptures on a subject where such disunity amongst believers has reigned. Your book puts a whole new slant on what it means for believers to endure to the end. I agree with your position on the "Mid-Week"/Mid-Trib Rapture, based on my own understanding of the scriptures and also because it comports with a dream that the Lord gave me about the Rapture many years ago before I had even studied those portions of scripture." — Bobbette Abraham, Virginia Beach, VA, USA. “Dear Cynthia … I received "Don't Miss the Rapture" about 10 days ago. … I was so eager to get into it so that I've read it since then almost every day with increasing zeal. Meanwhile I'm almost through for a first time and I'm simply struck - I'll have to read it again several times in order to assimilate it sufficiently. … Your work shows so many facets of the things to come still in a holistic way which presumably only few believers are able to work out by themselves. To me it appears as a perfectly assembled puzzle out of a great many parts yet well perceivable. Still it's comprehensible how you assembled it out of the many cross-references in God's Word, following the principle God's Word does interpret God's word. ...I thank Our Lord that He has shadowed you by His Ghost in this abundant manner and I beg Him to bless you furthermore this way, thereby being a blessing to many."